I’d be amazed if progressive rock features anywhere in Mervyn’s musical selections on Sunday – but who knows? Tune in to find out! I couldn’t be in Swansea this weekend to celebrate Pete Ham’s musical legacy with his family, fans and former bandmates. But Revelation will continue to play one of Badfinger’s finest songs “No Matter What”. And when you hear “Without You” or another of their songs, raise a glass to the memory of a very talented bunch of musicians. Fleetwood Mac were a successful blues band in the late 1960s, but some of the key talents – Peter Green, Jeremy Spencer and Danny Kirwan – left in the early 1970s. At that time Christine McVie (née Christine Perfect) – who had married bassist John McVie in 1968 – joined the band. Fleetwood Mac went through a transitional period in the early 1970s, with little commercial success, save for a reissue of their instrumental hit Albatross which reached No.2 in the UK singles charts in 1973. By the mid-1970s, the core of the band – drummer Mick Fleetwood, bassist John McVie and keyboard/vocalist Christine McVie – had relocated to California which is where they linked up with guitar/singer duo Lindsey Buckingham and Stevie Nicks. The result was two staggeringly successful albums – Fleetwood Mac and Rumours – which also led to success in the singles charts in the mid-1970s. Eight singles were released from the Fleetwood Mac and Rumours albums, and five of them were written by Christine McVie: Warm Ways; Over My Head; Say You Love Me; Don’t Stop; and You Make Loving Fun.Don’t Stop is probably the band’s best known song, and Fleetwood Mac reunited to perform it at Bill Clinton’s inauguration ceremony in 1993. In the meantime Christine had contributed some of the more successful and popular songs to Fleetwood Mac’s 1980s and early 1990s catalogue, including Think About Me (1980), Hold Me (1982), Little Lies (1987), Everywhere (1988) and Save Me (1990). 2013 – The Diamond Jubilee of Rock Music? The rock and roll era was clearly underway in the mid-1950s. Elvis Presley started his recording career in 1954 with “That’s All Right” and his career gathered momentum through 1955, with his first big hits – like “Heartbreak Hotel” and “Blue Suede Shoes” – coming in 1956. Chuck Berry recorded his first major record “Maybellene” in 1955 and “Roll Over Beethoven” in 1956. In 1954, Bill Haley and the Comets recorded “Shake, Rattle and Roll” and their best known song “Rock around the Clock” was popularised in the film “Blackboard Jungle” in 1955. So when does it make sense to date the start of the rock music era? Some analysts look back to the late 1940s and very early 1950s to identify the origins of rock and roll. “That’s All Right” – which was Elvis Presley’s first single – was originally recorded by Arthur “Big Boy” Crudup in 1946. Other early candidates for “The First Rock n’ Roll Record” are “Good Rockin’ Tonight” by Wynonie Harris in 1948, “Rock this Joint” by Jimmy Preston and his Prestonians in 1949 and “Rocket 88” by Jackie Brenston and his Delta Cats in 1951. Rocket 88 was written by Ike Turner, of Ike and Tina Turner fame, and featured a distorted guitar sound produced by an amplifier with a damaged speaker! It was also performed by Bill Haley and his Comets in the early 1950s. 7) “Mess Around” by Ray Charles – his first recording which reflected rock n’ roll influences – was recorded and released in May 1953. “Mess Around” was jointly written by Ahmet Ertegun, whose Altlantic record label launched many notable rock musicians, including Led Zeppelin and Yes. 8) During 1953, Alan Freed was busy popularising rock music to radio audiences in the mid-west of the United States. The year before – in 1952 – Freed had held what has become known as the first rock and roll concert – “The Moondog Coronation Ball” in Cleveland. By 1954, Freed had moved to New York and was taking the sounds of rock n’ roll to the affluent East Coast radio audiences. More specifically, I think you can date the Golden Age to the period 1967-1973. 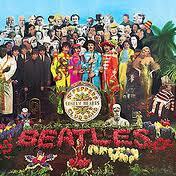 1967 saw the release of the Beatles album, Sgt Pepper’s Lonely Hearts Club Band. Jimi Hendrix burst onto the scene and bands like Cream started to expand the boundaries of creativity and musicianship in rock music. 1973 saw the release of Pink Floyd’s Dark Side of the Moon, the crowning glory of their recorded output, and an iconic classic rock album. Genesis reached their creative peak withSelling England by the Pound in November. 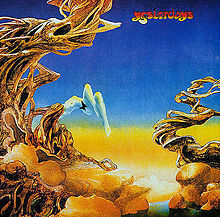 The end of the year also saw the release of Yes’s Tales of Topographic Oceans. Though there are some interesting musical ideas and some excellent musical performances on this album, it was a signal that classic/progressive rock was starting to degenerate into self-indulgence. Though many excellent rock albums and songs were recorded after 1973, it marked the close of the truly Golden Age. Three themes underpinned the Golden Age – innovation, creativity and musicianship. Innovation took place at two levels – musically and technically. Rock music moved beyond the standard 3-minute pop song with lyrics about boy/girl relationships and there was widespread experimentation with longer and more complex pieces. At the technical level, electronic music arrived, with the extensive use of synthesisers and other electronic devices to modify the sounds of voices, instruments and guitars. Even Bob Dylan went electric! A second theme was creativity. Concept albums were developed, with one song merging into another. Song lyrics became more imaginative, chord sequences more varied and bands experimented with drum solos, exotic keyboard and guitar sounds. Even Ringo Starr gets a drum solo on the final track of Abbey Road – “The End”. Song structures also became more complex, with the simple verse-chorus-verse structure becoming the exception rather than the norm. The third theme was musicianship. Some excellent musicians came to prominence in the late 1960s and early 1970s – many of whom are still plying their trade today. Rick Wakeman, Eric Clapton, Dave Gilmour, Jimmy Page, Ritchie Blackmore, Carlos Santana, David Bowie and Elton John. At the same time, established bands from the early 60s – like the Beatles, the Who, the Byrds, the Rolling Stones and the Zombies, raised their game and recorded and performed some of their best music around the same time. Crosby, Stills and Nash, the Eagles and Neil Young set the direction for a new style of acoustic/electric rock music influenced by country and folk, based on the West Coast of the US. The drive to innovate, be more creative and explore new musical directions caused band memberships to change and shift constantly. 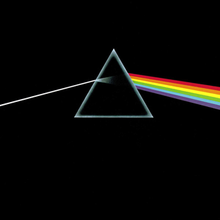 Pink Floyd ditched their founder member and chief songwriter, Syd Barrett, but this did not prevent them recording one of the best rock albums of all time – Dark Side of the Moon. The Beatles split in 1970, but recorded some of their best songs in the late 1960s. Lennon, McCartney and Harrison went on to have successful post-Beatles careers and the final year of the Golden Age saw the release of McCartney’s finest post-Beatles album, Band on the Run. Rick Wakeman shifted effortlessly from playing in the Strawbs and as a session musician for David Bowie and Cat Stevens to becoming the keyboard supremo of the progressive rock band Yes. Sadly, there were casualties too – including Brian Jones of the Rolling Stones, Jimi Hendrix, Janis Joplin, Jim Morrison of the Doors and Gram Parsons. Brian Wilson of the Beach Boys suffered a mental breakdown because he felt he could not keep up with the pace of creative change, even though he wrote some excellent songs in the mid-1960s (eg God Only Knows,Good Vibrations). The drug culture claimed other victims, including Peter Green the virtuoso guitarist with Fleetwood Mac. In a single blog posting, it is impossible to note all the momentous rock music which emerged in this Golden Age. The four classic Led Zeppelin albums were recorded. Deep Purple were in their pomp – recording the greatest live album of all time, Made in Japan. Yes recorded their three best albums – The Yes Album, Fragile and Close to the Edge. The Who also recorded a trio of great albums – Tommy, Who’s Next and Quadrophenia. The Beatles recorded some of their best music in the late 1960s and the individual members subsequently recorded impressive solo work, including George Harrison’s All Things Must Pass. There were some momentous guitar solos – such as Jimmy Page’s contribution to Stairway to Heaven and Lynyrd Skynyrd’s Free Bird. Below the radar, there is some lesser known classic music from this period. The Zombies are one of my favourite 1960s bands. Their 1968 album Odyssey and Oracle featured the whimsical “Time of the Season”. Rod Argent, a key musical influence behind the band went on to form his own band with Russ Ballard, recording “God Gave Rock and Roll to You” in 1973. Not a bad way to mark the end of the Golden Era of Rock! And Ballard went on to write Since You’ve Been Gone – a great rock anthem which was a 1979 hit for Rainbow (featuring Ritchie Blackmore ex-Deep purple). Marmalade, best known for re-recording the Beatles’ “Ob-la-di, Ob-la-da” contributed Reflections of My Life written by Junior Campbell and Dean Ford. Campbell contributes a haunting backwards guitar solo on the track. 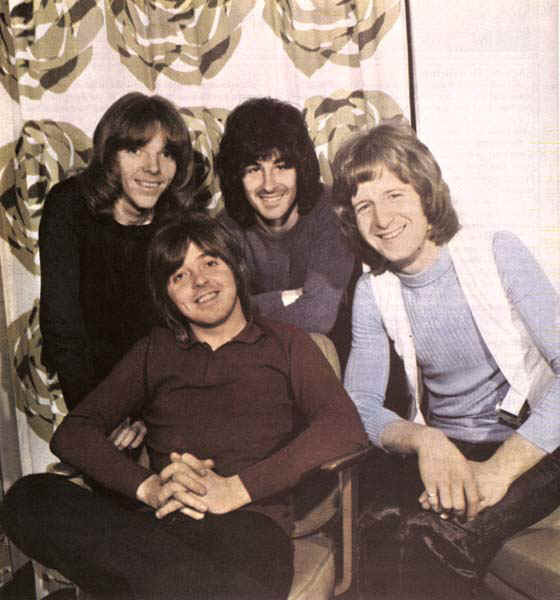 Badfinger were signed to the Apple record label established by the Beatles in 1968. They wrote and recorded some excellent tracks – “No Matter What”, “Come and Get it” (a McCartney song) and “Without You”, which was a big hit for Nilsson in 1971 and Mariah Carey in 1994. Sadly, both the creative influences behind the band committed suicide – Pete Ham in 1975 and Tom Evans in 1983.